This new photography site is dedicated to support Houston and all surrounding areas. 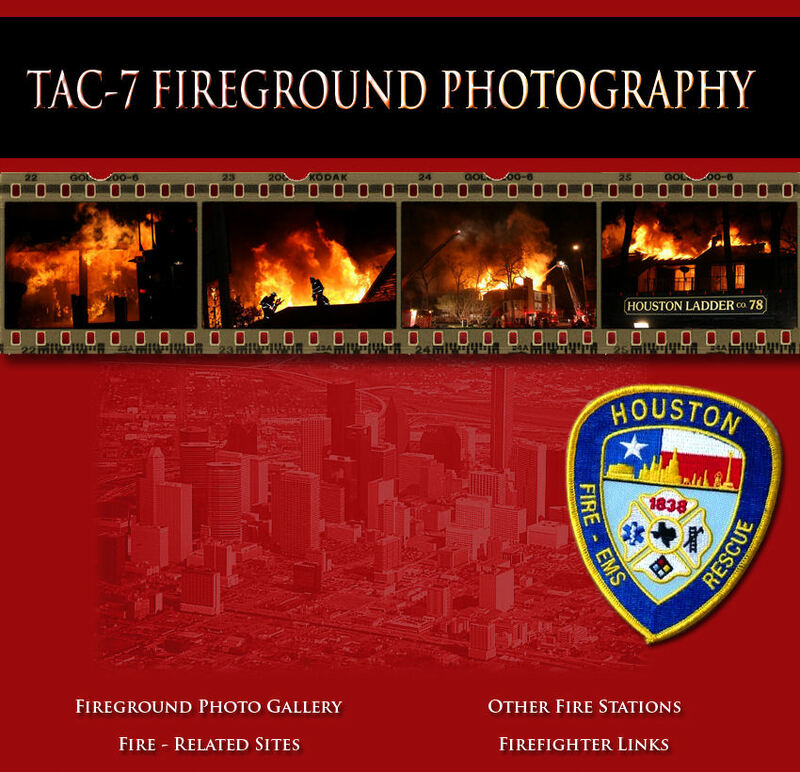 With photography centered on fires, rescues, major accidents, and special events. We strive ourselves on adding new photos within hours of clearing an event. Please check back often for new updates. You might even see yourself. Note to all firefighters, operations on this new server will allow new expanded options. One of these options include the ability to provide free hosting for anyone in need. This service is available to all fire stations, including personal side jobs. Please email the webmaster for additional information. Your custom site address would look like, sitename.TAC-7.com, and would allow you to perform your own maintenance. This would be a free service for anyone interested. Legal Stuff: This page is not directly affiliated with HFD or its entities. No private identities will be openly distributed. Visual discretion is advised.